In 2006, the fossil of a juvenile Tyrannosaurus-like dinosaur named Tarbosaurus was collected from the Gobi Desert. Investigators examined the fossil in detail this year and estimated that the creature died at two to three years of age. 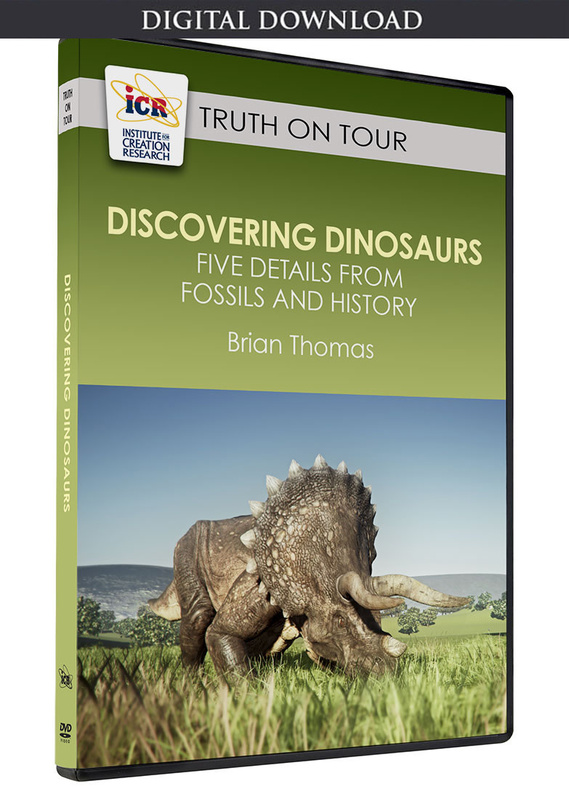 This young specimen not only offers insights into the growth and development of these dinosaurs, it also sheds light on certain misconceptions connected to the biblical account of Noah's Ark. This fossil's description inadvertently refutes two common but uninformed objections to the historicity of the Bible's account of Noah's Ark. First, critics often claim that large creatures such as tyrannosaurs could not possibly have fit on such a relatively small vessel. Similarly, there is supposed to be no way that all the species of animals could have been transported in Noah's famed wooden barge. 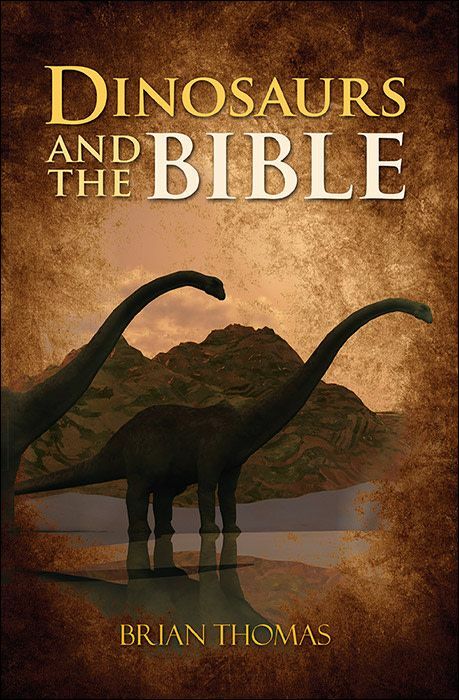 The first objection assumes that Noah and his family had to have taken full-grown dinosaurs on board the Ark, which is typically presumed to have been smaller than its actual biblical dimensions. The Ark was at least 45 feet high, minus the required dimensions for hull structure.3 If the three decks that the Lord specified for its construction were evenly spaced from bottom to top, they would have offered about 15 feet of clearance. Tyrannosaurs could reach 40 feet in length, and the adults would therefore not have fit well on such a deck. But why would Noah have taken older dinosaurs on board, when younger ones would have fit just fine? The juvenile Tarbosaurus under investigation would have stood waist-high next to most men, and therefore it would have been easily accommodated on the Ark. Regarding the question of how all the different species could have fit on the Ark, Asia's Tarbosaurus looks so much like North America's Tyrannosaurus that some evolutionary paleontologists suggest that they should be considered the same species. The study authors found a list of clear similarities between their Tarbosaurus specimen and tyrannosaurs, including the "D-shaped" cross-section of the teeth and the distinctive two-fingered tiny forearms. It has also been suggested that the dinosaur genus Nanotyrannus was just a juvenile Tyrannosaurus.7 Thus, three different species, and probably more, could have been represented by only two youthful tyrannosaurids on the Ark. The Tarbosaurus toddler illustrates two reasons why Noah's Ark was a feasible project. Not only did Noah only need to take juvenile members of very large creature groups, but he only had to take two of every kind—not two of every "species." And the Ark was more than capable of handling that. Tsuihiji, T. et al. 2011. Cranial Osteology of a Juvenile Specimen of Tarbosaurus bataar (Theropoda, Tyrannosauridae) from the Nemegt Formation (Upper Cretaceous) of Bugin Tsav, Mongolia. Journal of Vertebrate Paleontology. 31 (3): 497-517. Choi, C. Q. Terrible Twos: Young Tyrannosaurs Were Careful Predators. LiveSceince. Posted on livescience.com May 9, 2011, accessed May 10, 2011. The biblical unit of measurement for the Ark is the cubit, which is commonly calculated at 18 inches. However, it is possible that a royal cubit, which was longer than 18 inches, provided the Ark's dimensions. See Lovett, T. Why Longer Cubits Make More Sense in a Biblical Framework. Posted on worldwideflood.com June 2005, accessed May 10, 2011. Thomas, B. Dinosaur Ranks Shrink as Species Numbers Dwindle. ICR News. Posted on icr.org October 13, 2009, accessed May 10, 2011. Image credit: Copyright © 2011 The Society of Vertebrate Paleontology. Adapted for use in accordance with federal copyright (fair use doctrine) law. Usage by ICR does not imply endorsement of copyright holders. Article posted on May 18, 2011.